If You’re Skeptical of the Global Warming Agenda, Does that Make You a Crazy Racist? I’ve written about the government’s war on light bulbs, its rule against working toilets, and its prohibition of washing machines that actually clean, so I sometimes cover environmental issues. But I usually limit myself to examples of silly radicalism, such as the crazy claim that climate change causes AIDS, a reprehensible example of EPA thuggery, and a column about pointless recycling mandates. Notwithstanding these criticisms, environmental protection is a legitimate role of government. Simply stated, we don’t want polluters to violate our property rights. The challenge, of course, is how to conduct sensible cost-benefit analysis. Where do we draw the line, for instance, on how much pollution cars should be allowed to emit? Or what are the best rules to ensure landfills don’t pollute groundwater? These are important issues, but I will admit a bias. I am instinctively skeptical whenever self-proclaimed environmentalists start pontificating. In part, this is because everyone has an incentive to exaggerate. The business community will always say that a new regulation imposes astronomically high costs, while environmentalists will claim minimal costs and say that thousands of premature deaths will be averted. Since exaggeration is omnipresent in Washington, that’s not what really bothers me. My main problem with environmentalists is that they want to use so-called green issues to give government more power. And if you oppose them, you’re an evil person. 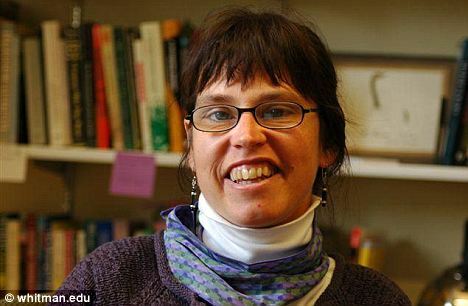 Consider the example of Professor Kari Norgaard of the University of Oregon. She thinks you’re mentally ill if you don’t agree with her. Just in case you think I’m being unfair, here are some blurbs from a report in the UK-based Daily Mail. An Oregon University professor has controversially compared skepticism of global warming to racism. …The professor, who holds a B.S. in biology and a master’s and PhD in sociology, argued that ‘cultural resistance’ to accepting humans as being responsible for climate change ‘must be recognised and treated’ as an aberrant sociological behaviour. …Norgaard last week attended the annual four-day ‘Planet Under Pressure’ international conference in London, where she presented her controversial paper to delegates on Wednesday. Professor Norgaard wasn’t the only oddball at the conference. The article also mentions that the attendees included a bunch of control freaks who want to force people to live in densely-populated cities. The folks at the Commentator sent a camera to the conference. Here’s a five-minute sample of what they saw. But the folks at the conference weren’t even the crazies, or at least the really bizarre environmentalists weren’t part of the video. For instance, I didn’t see the folks who don’t believe in bathing, the ones who sterilize themselves to avoid carbon-producing children, or the ones who produce (or use) hand-cranked environmentally-friendly vibrators. Anyone who disagrees with academia is a racist. That’s just the way it is. “…none of the computer models has ever accounted for clouds, which are the leading regulator of temperature on the planet. When you account for them, the actual contribution of carbon dioxide to the greenhouse effect is about 0.5 to 1 percent of the total temperature change. It’s been estimated that, on the outside, doubling the concentration of CO2 in the atmosphere would result in less than a 1-degree Celsius increase in temperature. Just wish I knew what Zorba knows about the future where we have somehow managed to not just get out from uner the current $16 trillion of American debt, but also somehow handled the other $120 trillion of unfunded liabilities that would have come due. The crucial words are, “We want them to . . .” This is what it’s all about. Always was. Sure, carbon output has probably altered the climate a bit. But, not nearly to the extent that the crazies suppose. And, it’s not necessarily harmful. We are not heading to a “tipping point.” Nature has negative feedback loops designed to bring things back into balance. These people want the control. Climate is just the excuse. All these people from the UK who believe this way are totally insane. We are the sane ones and we understand the underlying issues (making money–tons of it) in the whole supposed “climate change issue”. It’s that simple! It is primarily an economic common sense issue. Not a climatic one – at least not at the current predicted levels of climate change – and that is why collectivists keep ratcheting up the consequences, but that is another story. Accepting an anthropogenic component to climate change does not automatically mean that one automatically accepts the centralized re-engineering of humanity in order to avoid it. It also does not mean that one accepts the economic tradeoff solutions that severely inconvenience today’s short lived and relatively poor humans, to benefit the lucky souls that get the chance to live much longer and richer lives one hundred years from now. If you had the chance to embark on a time machine to be propelled one century into the future and your friends and family also wanted to follow you but were given the warning: “The world you will be moving to is 2C warmer” would you still want to make the trip? I would, hands down. Following human prosperity and life expectancy trends, in one hundred years you would be expected to live one hundred twenty plus years AND be seven to fifteen times wealthier in real inflation adjusted terms AND your money will be able to buy wonderful things that are unimaginable to you today at any price — like, say, a cure for pancreatic cancer. Just think about it. The only way that would NOT happen is if human progress somehow stopped in its tracks. Ironically, the difference on whether your descendants one century from now are “only” seven times, or fifteen times richer than you, depends on relatively modest slowdowns to the very economic growth that addressing climate change today would trigger. Looked differently, that rate of economic growth determines whether the cure for pancreatic cancer is found in forty or sixty years. There are a lot of lives in that twenty year difference and countless more in similar effects, and that is in medicine only. Do those humans that will live one hundred years in the future look like a lot we need to feel sorry for because ( if humanity keeps failing to spontaneously find an economically efficient way to create energy) they may have to live in a world that is 2C warmer ? And that those lucky chaps one century from now will not have the technology to handle a temperature increase of 2C? Does this look like a cause that warrants we further inconvenience our comparatively very primitive, short and poor lives? Do people fail to realize that even the average Bangladeshi, one century from now, will be richer than today’s American and that he/she will be able to buy with that money things that are unavailable and unimaginable to today’s American at any price? Are we basically advocating that we transfer wealth from us, the poor and short lived to our much richer and much longer lived descendants one hundred years from now? And the left is the one that is primarily advocating this regressive transfer of prosperity? Contrast that to the cumulative threat posed to humanity by WMDs and you begin to realize how misplaced the obsession over sparing our descendants the alleged 2C temperature rise really is. I’m willing to bet, thirty to one, that if a global catastrophe hits humanity it will be from WMDs not global warming. But busybodies will continue to exist. As people tire, Europe, the main proponent of environmental totalitarianism, declines, and the climate change debate winds down, look for the issue to be replaced by some other inconvenient cause requiring capitulation to global governance by directorate and by committee of intellectual experts.